Malloy Esposito Crematory & Funeral Home. 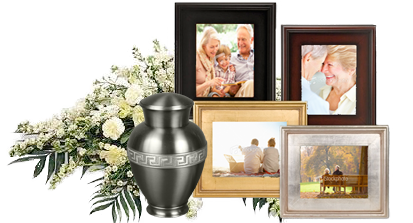 Affordable Cremations & Burials North Olmsted OH. Just a short commute from North Olmsted OH., on W 117th St., Malloy Esposito has been helping North Olmsted residents save on final arrangements by providing affordable cremations & burials. For 36 years, area families, and veterans have come to us for affordable, sensitive and simple direct cremations and burials. We offer North Olmsted residents an affordable alternative to expensive traditional funerals by providing direct low cost cremations and burials. The land that became North Olmsted was originally part of the Connecticut Western Reserve in the Northwest Territory, then was purchased by the Connecticut Land Company in 1795. Earliest records show the area was called Kingston. In 1823 the people organized into a township called Lenox. On March 1, 1931, the Village of North Olmsted started the historical North Olmsted Municipal Bus Line one of the first and one of the oldest municipal transit systems in the United States which was in operation for over 74 years until March 20, 2005; when it was absorbed into the Greater Cleveland Regional Transit Authority GCRTA; the countywide agency for Cuyahoga County, Ohio. On March 24, 1966, the Great Northern Theatre opened at Great Northern Shopping Center in North Olmsted. This was one of the first and few Cinerama Theatres in Ohio and had a gold colored curtain in front of the long 90 foot screen in a very large auditorium with 1,346 seats. It was closed in 2000 due to new cinemas that were added in Westlake, Ohio by Regal Cinemas.